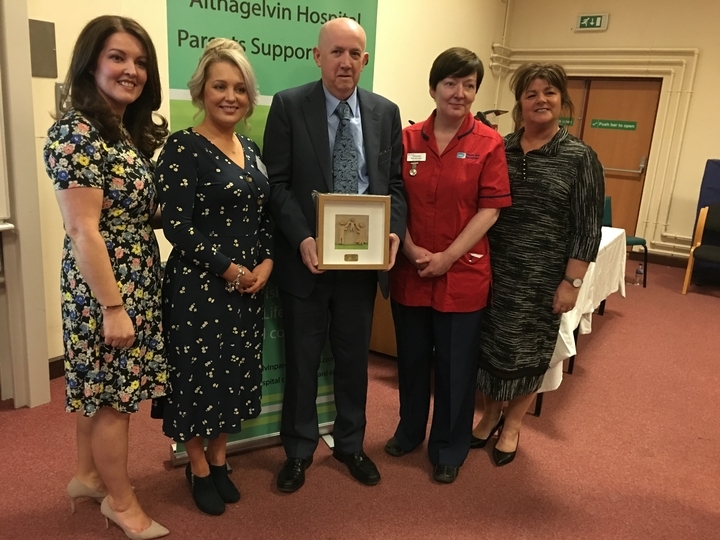 On 6th April Joe and Eilish McCann from IQM attended the launch of Altnagelvin Parents’ Support Group in Altnagelvin Hospital, Derry and the presentation of parents’ beds to the Paediatric Wards in the hospital. The event was compered by Ms Elaine McGee, BBC Radio Foyle Presenter who outlined the proceedings for the afternoon and welcomed everyone to the event. 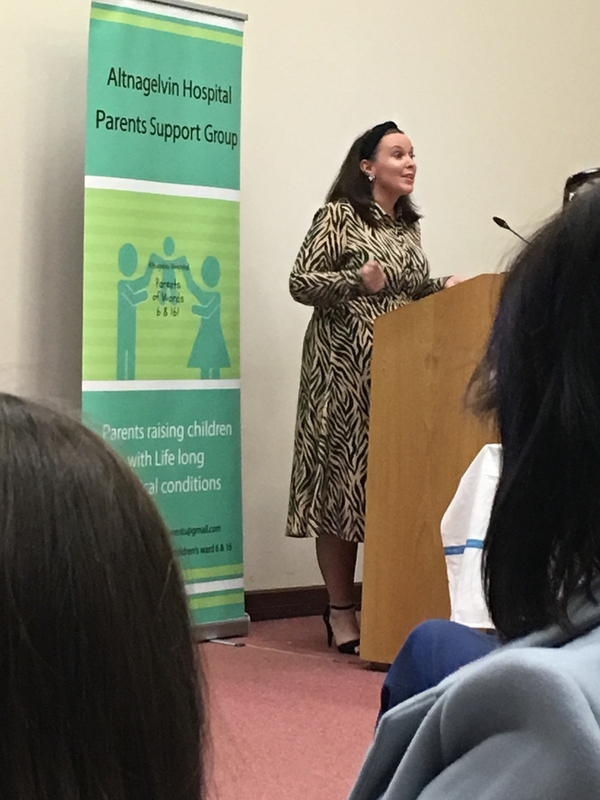 A representative of the Western Health and Social Services Trust spoke eloquently about how the group was formed and the amount of fundraising work they had undertaken on behalf of the paediatric wards. 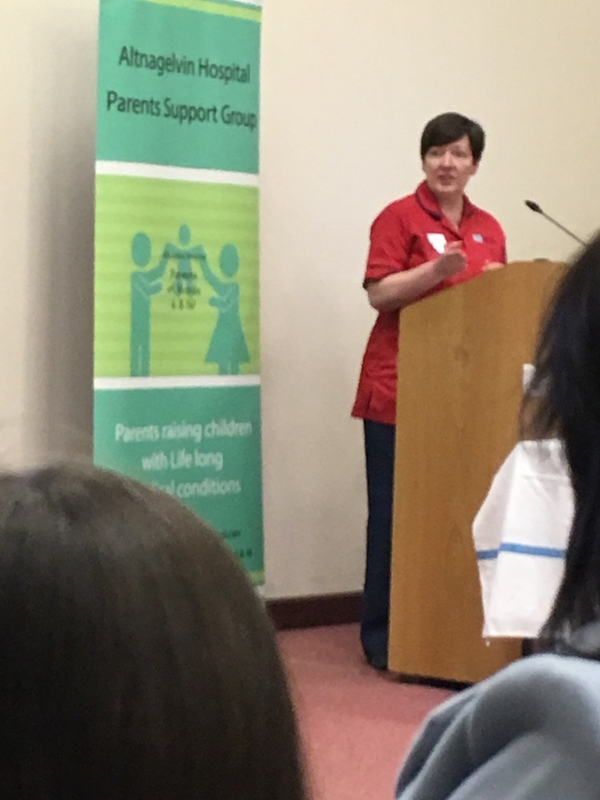 Sr Anne Devenney then spoke about the ward that she managed and how her staff helped and supported parents who had children under their care. The nursing staff talked to many of the parents about how they could improve the service they offer and make things easier for them. They were told that one of the greatest needs was to be able to sleep in the same rooms as their children many of whom often spent weeks and months at a time in the hospital. The nursing staff were keen to provide more comfortable facilities for parents and carers and came up with the idea of acquiring foldaway parents’ beds which would allow them to sleep comfortably in the same room as their children. 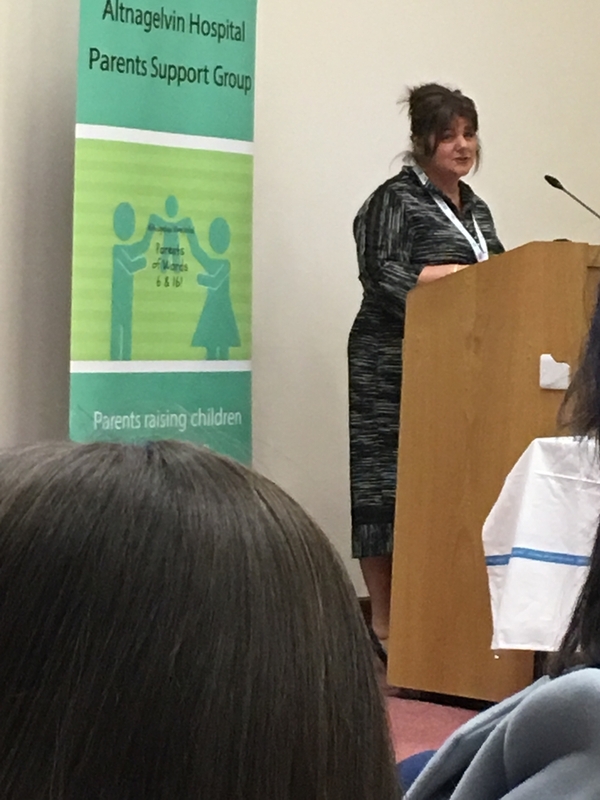 At this point the nursing team spoke to some of the parents whose children were regular patients in their care and the idea came about to establish a parents’ group with a focus on fundraising to provide the extra facilities which were needed. One of the parents, Lisa Storey, was appointed as Chairperson and the campaign started. The group initially decided they would like to provide 24 beds to the award and set a timeframe of 12 months to achieve this. A local campaign was set up which received local press attention and appeals were put out on Facebook. Within 48 hours the group had raised enough money to purchase 27 of the beds. They were inundated with offers of financial help as well as logistical help to get the beds to Altnagelvin as the company which made them did not deliver to N. Ireland. The presentation of the parents’ beds to the staff of the paediatric wards was made on Saturday afternoon last. Sponsors, parents, children, dignitaries including the Deputy Mayor and staff all attended an afternoon of celebration in the Multi-Disciplinary Education Centre in the hospital. 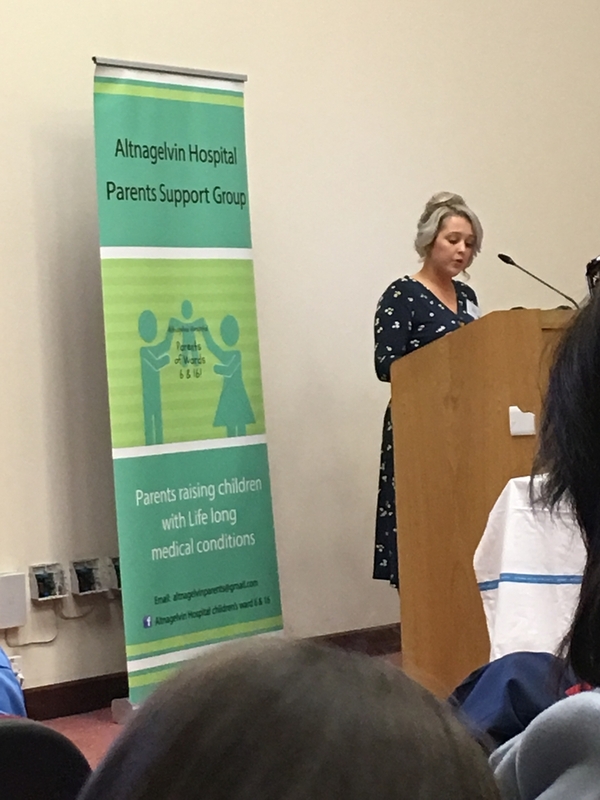 Lisa thanked all the local companies and individuals who had sponsored the beds and explained that some were already in use and that they were many very grateful parents who had spent their first comfortable nights in the hospital supporting and caring for their children. The parents’ group intend to keep on fundraising and helping the staff of the hospital in whatever way they can. Joe McCann, Managing Director of IQM, pictured with a plaque presented to him by the Parents’ Support Group for sponsoring one of the beds. Also in the picture are members of the Parents’ Support Group and staff from the Western Health and Social Services Trust. Congratulations to everyone involved in such a worthy charity. A great afternoon was had by all.